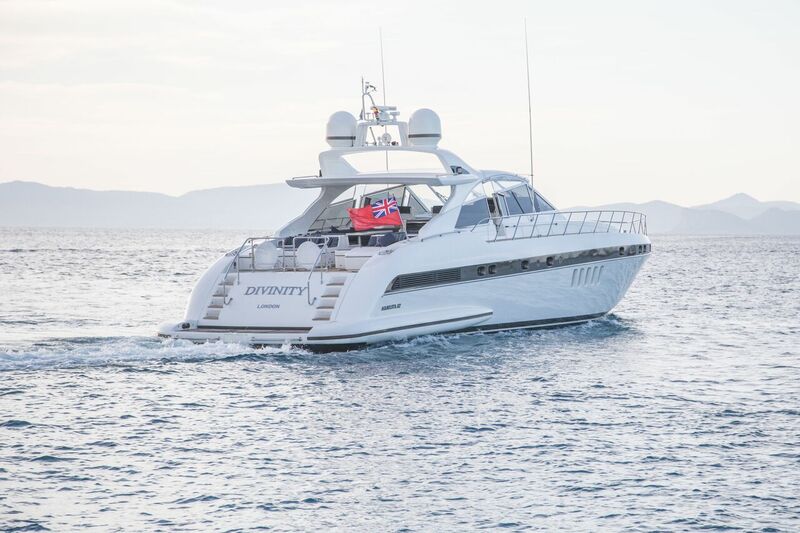 Divinity is a Mangusta 80 built in 2005. 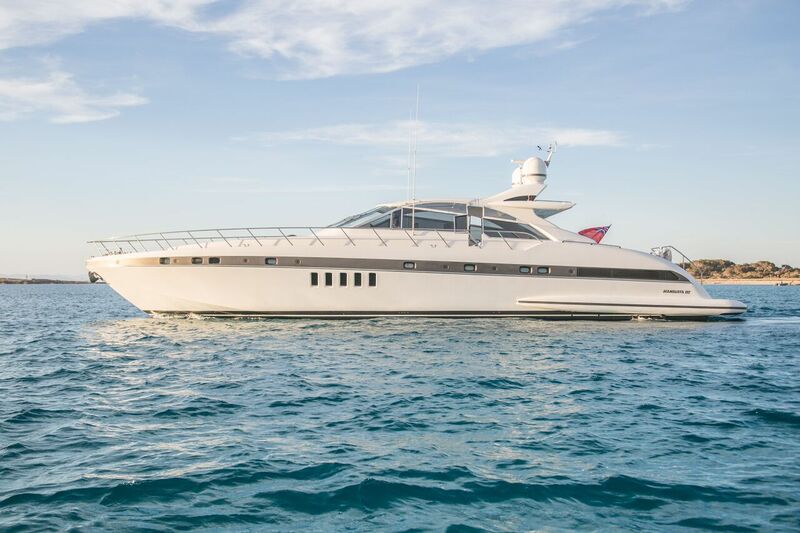 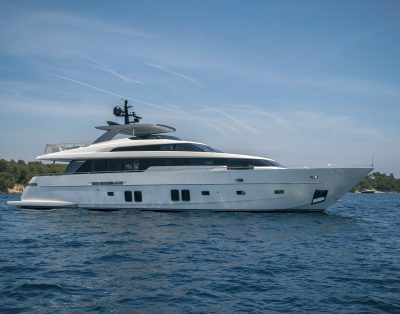 She is one of the most popular luxury superyachts combining a high-level performance and extreme comfort. 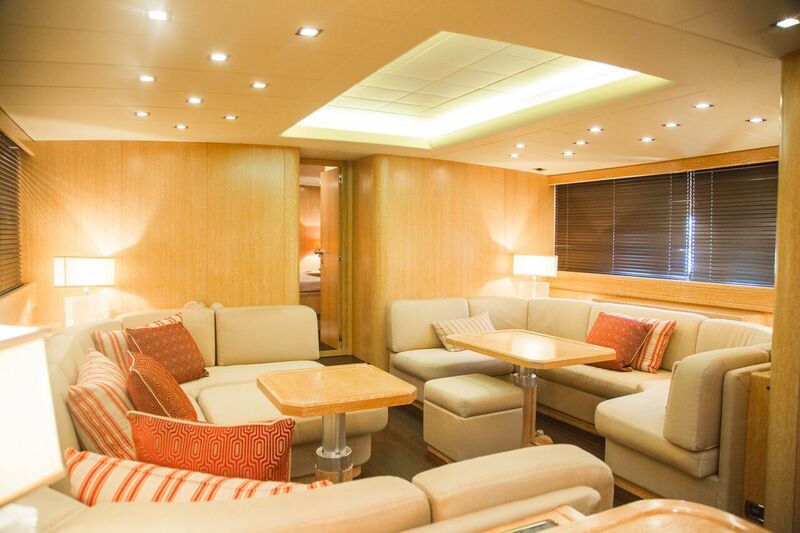 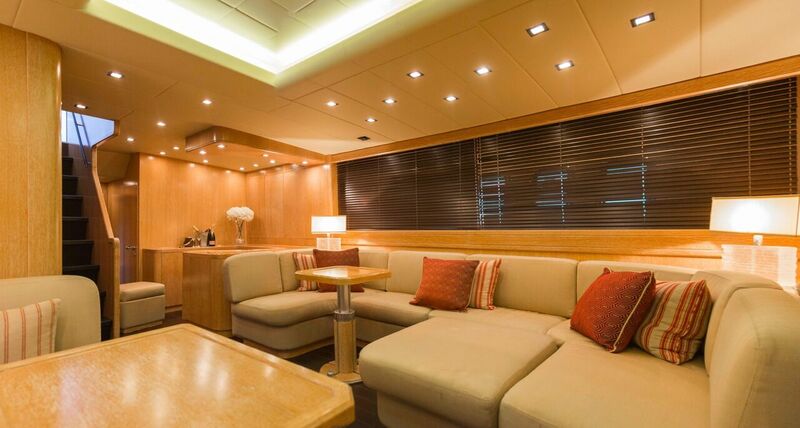 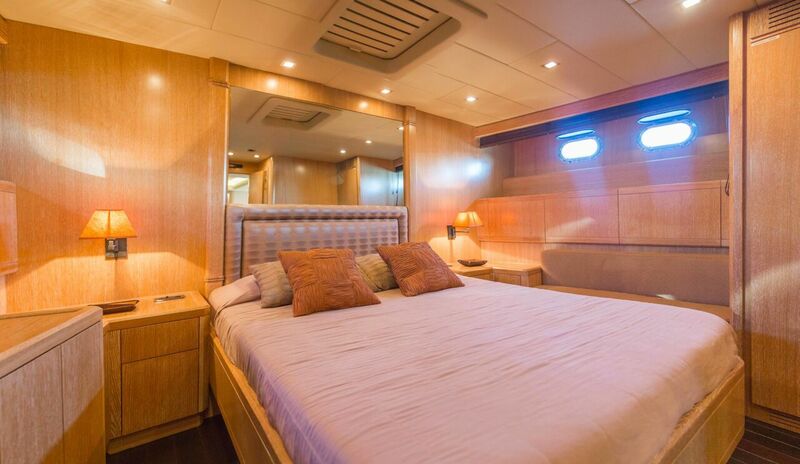 Divinity boasts wide and comfortable interiors equipped with 3 staterooms for 7 guests, crew of 4. 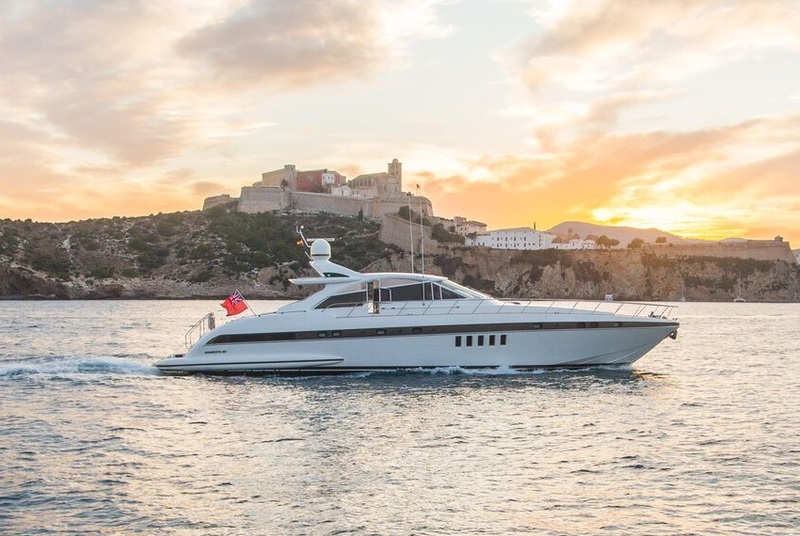 Base: Ibiza. 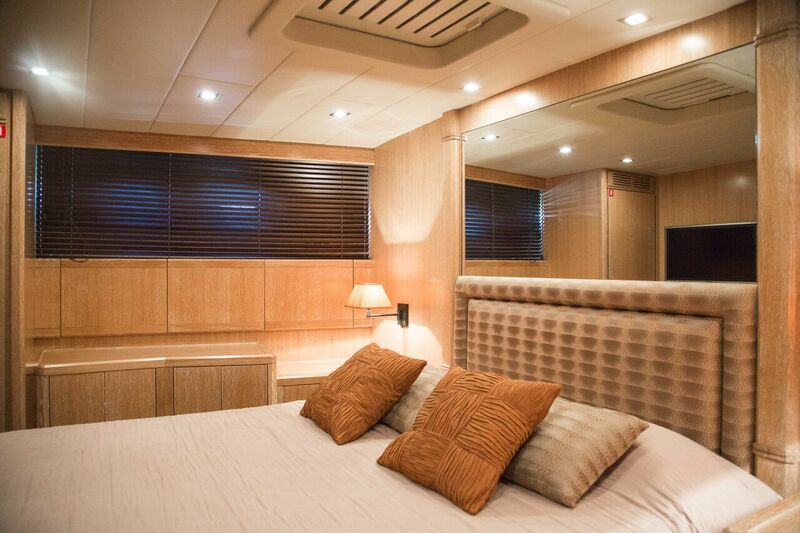 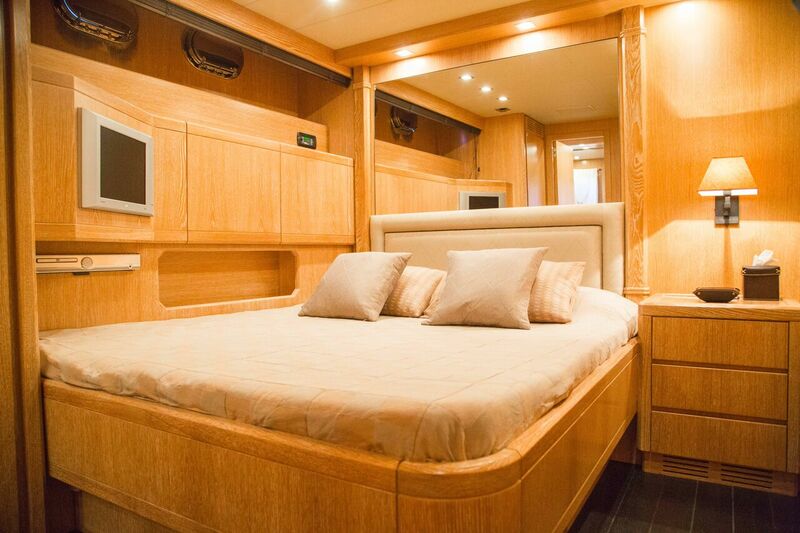 The night area offers 3 spacious cabins; Master suite with double bed and sofa, Vip suite with double bed, Twin cabin. 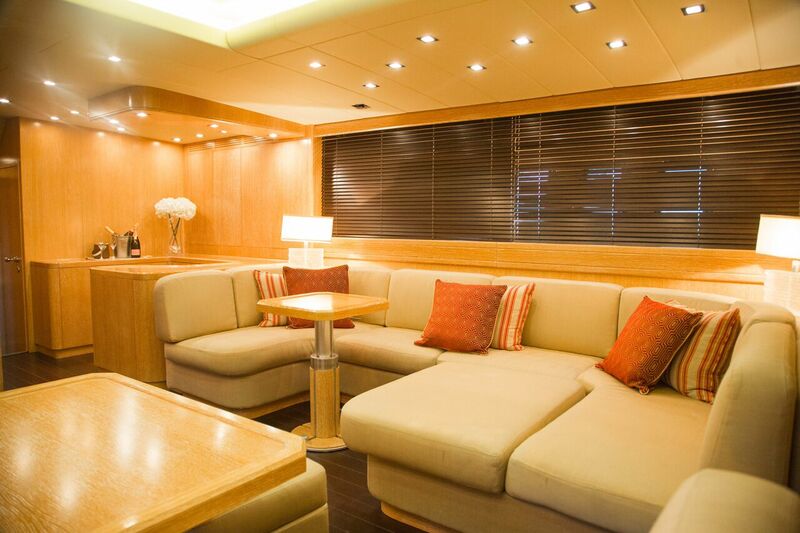 Salon with comfortable sofas and two small tables. 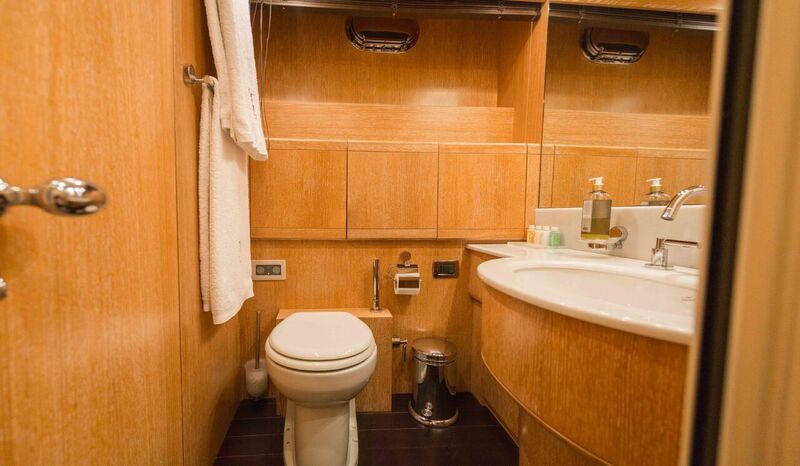 Well equipped galley. 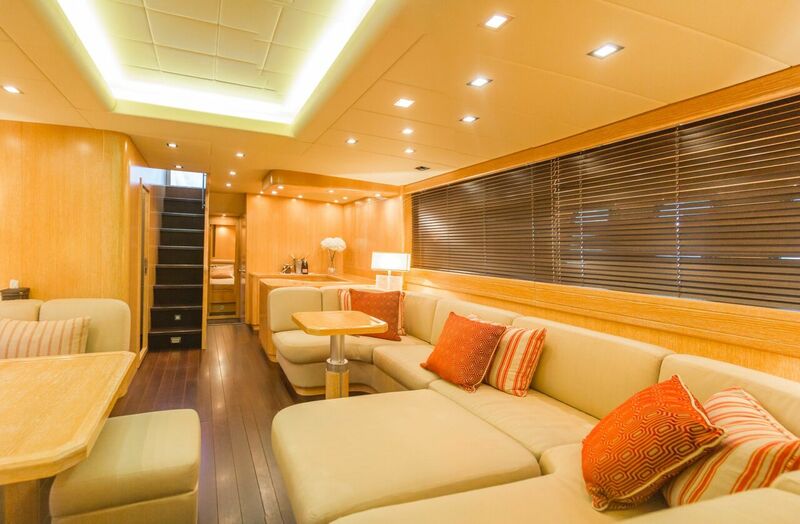 Comfortable and elegant external areas, wide sunbathing area forward with soft cushions. 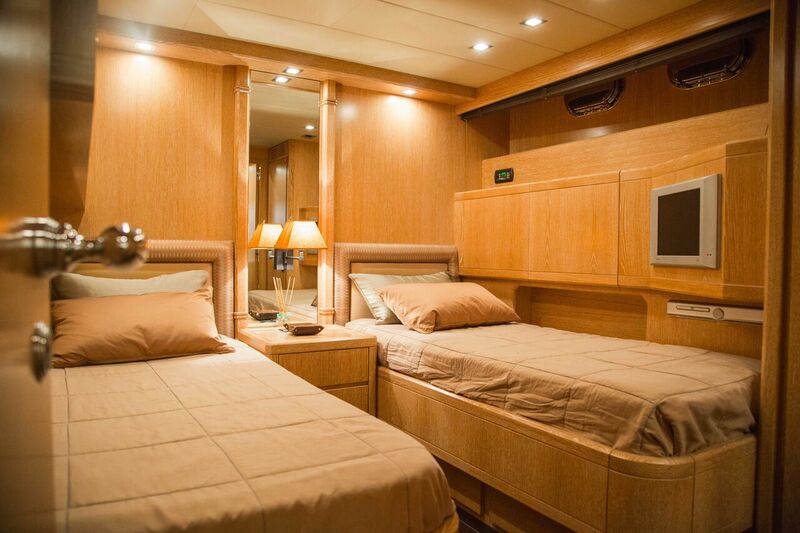 Crew of 4: Captain, Chef, Stewardess/cook assistant, Deckhand. 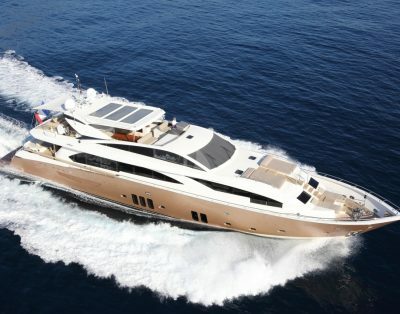 Weekly rates (Spanish VAT pplicable), WMT: July/August and events € 46,800; June/September € 40.950/other months € 40,950. 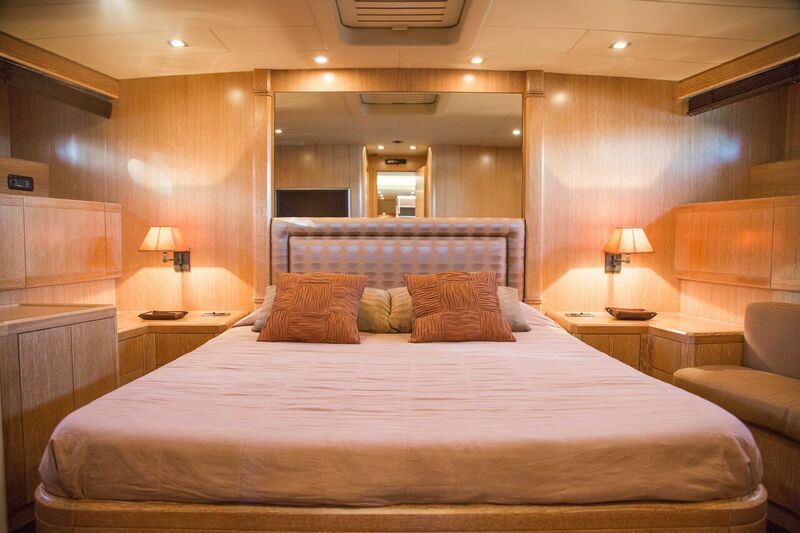 Rates include: hire, crew in the number indicated, yacht’s insurance, yacht’s laudry. 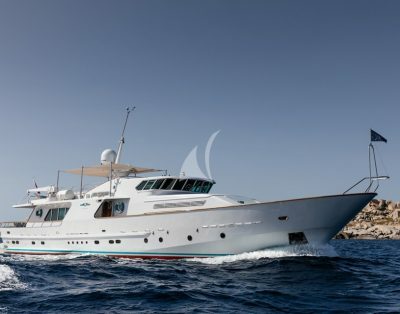 Rates do not include: guests’ food and beverages, fuel for the yacht, for the watercraft and the dinghy, mooring fees, personal communications fees (internet, fax, if on board), personal laundry fees. 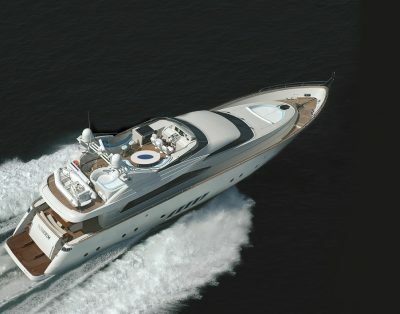 Fuel consumption 900 lt/h (duty free fuel in Italy only).